The Penthouse is the perfect destination for those looking for a luxury ski holiday within easy access to the famous Klosters Davos mountains. It’s ideal for those seeking a quiet location for either a large family or group of friends. Our aim is to give you a truly memorable holiday and our Chef and Host will be on hand to cater for all your needs from the moment you arrive. 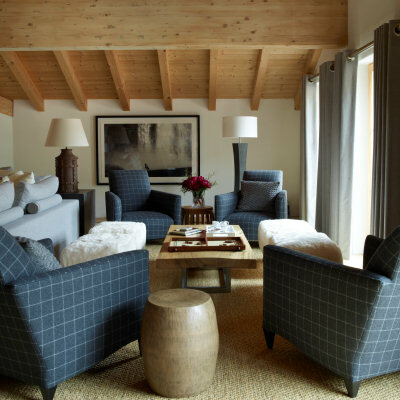 The elegant interiors of The Penthouse, in soft neutral tones has been designed by award winning, interior designer Nicky Dobree to create an incredibly comfortable, private alpine retreat. “What’s really special and unique about Haus Alpina is the space, rarely do you find ceiling heights and spaciousness like this in the mountains” she says. "The team are incredibly helpful and cheerful everything is taken care of for you from the moment you arrive."